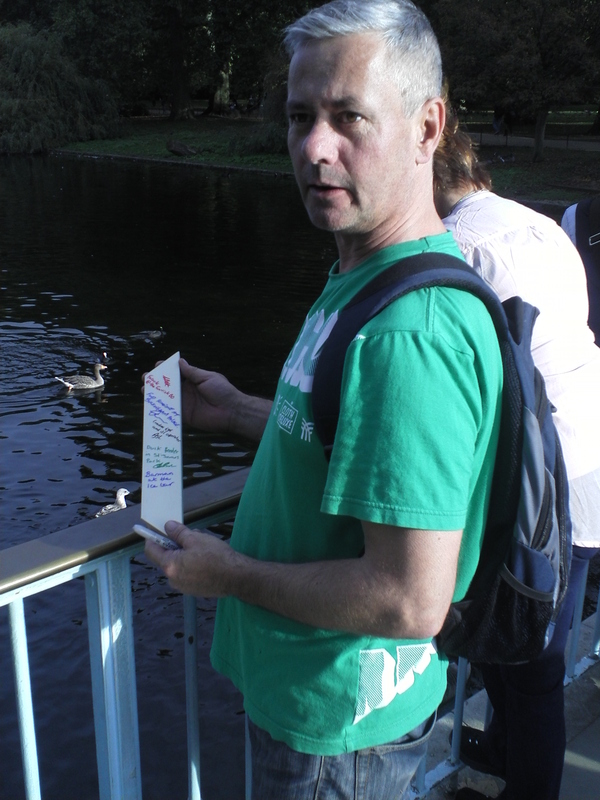 St James’s Park is a 400 year old park dating back to Elizabethan times. To mark the centenary of the start of the first world war, the park had an open air exhibition of the first world war battlefields on display. As I walked the path encircling the lake, I spotted dozens of squirrel and pigeon feeder-humans. 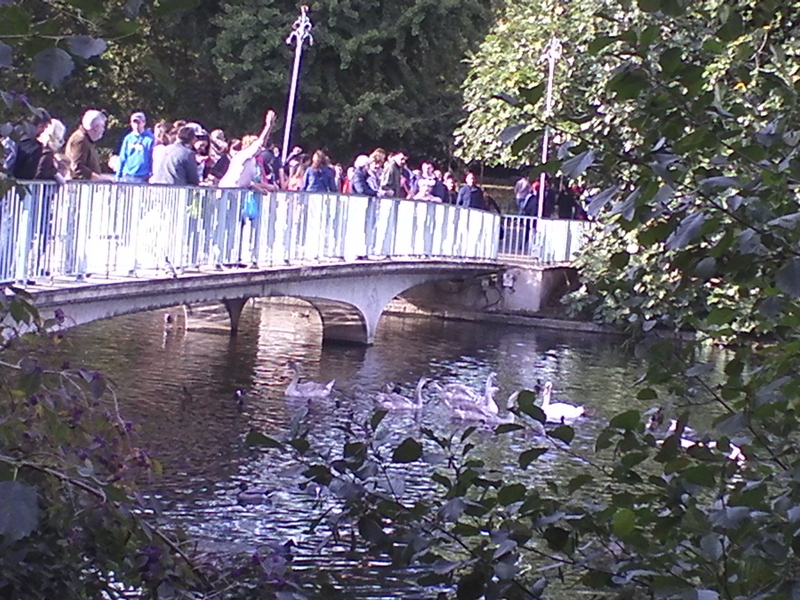 Arriving at the blue bridge I also found some duck feeders provoking a water fowl feeding frenzy. I remarked that the food seemed to be popular and was informed that the bread was home made. I then explained about the project and was given a hunk of that home made bread for the montage and was sent to experience ICEBAR and see the barman there. I was told that everything in ICEBAR is made of ice.